The horses, 1,500 mares and 400 geldings, were moved in the course of one week from the lush pastures of Teeterville to a crowded feedlot. I saw these mares and geldings, 4,400 wild horses in all, on 32,000 acres in June 2012 while on the Bureau of Land Management's (BLM) Long Term Holding Pasture Tour. This was the "model facility" where we were escorted all day on buses, seeing wild horses roaming free in huge, lush green pastures. The horses were gorgeous, healthy and looked incredible as they ran by. 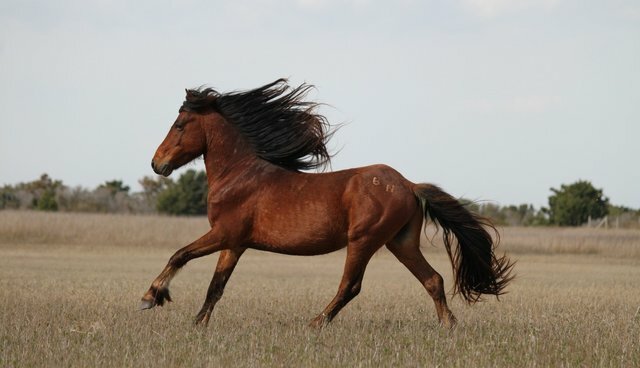 On this gem of a video with BLM's Lily Thomas narrating, we hea describes the carefree life of wild horses who get to live their lives in Long Term Holding - no more stress! Ample feed and water. Better than being in the wild. Of course, these horses met a much crueler fate. Wild horses no longer, they are displaced even from their home at Long Term Holding and are treated like livestock crowded into feedlot pens, albeit with no idea how to eat from the troughs. It sounds as though they were given the wrong food, they were overcrowded so the less dominant did not get enough to eat, and the owners of the corral and the BLM claim no wrongdoing. 75 horses, it appears, are suddenly dead. This is not how wild horses deserve to be treated. If the BLM is going to ignore all requests, pleas, letters, publicity, lawsuits and public protests to stop the roundups and leave the horses where they belong in the wild, the very least that they can do is to treat the wild horses in their care humanely and care for their basic needs. Please spread the word and write your congressmen and senators. This cruel "final solution" for our wild horses is unacceptable and must stop now.